Two years before she became the presumptive Democrat presidential nominee, Hillary Clinton called the election of a female president of the US “the highest, hardest glass ceiling”. It's a glass ceiling that has - for now - yet to be broken, but it's also a milestone that's closer than at any time in American history. It doesn't feel like the same can be said for the global pharmaceutical industry. Looking at the ranks of CEOs at the sector's 20 biggest companies, not one of whom is a woman, it's hard not to conclude the industry's own glass ceilings are pretty high too. Among those looking to help women break through is the Healthcare Businesswomen's Association (HBA). With its global membership numbering nearly 8,000 today, the HBA was set up in the US nearly 40 years ago for women in healthcare to come together to exchange industry and career information and resources. Ultimately the HBA's mission, as HBA Europe vice president Kathrin Schoenborn-Sobolewski tells PME, is “to further the advancement and impact of women in the healthcare business and provide a platform for women to grow, develop, network and build connections. It provides role models and opportunities to meet really amazing women and learn from them to possibly advance your own career”. Objectives can be very different from individual to individual, Kathrin says, but the HBA provides “a platform for women to connect, grow, advance and make an impact in the business”. From Atlanta to Boston to San Francisco and beyond, local US chapters have been springing up across the US since 1979. The Association also has a growing Europe chapter that is on an upward trajectory as it advances the HBA cause. Its European president is Claudia Graeve, who is vice president at strategy management consulting firm Health Advances, having begun her career as a scientist before serving in positions of increasing responsibility at Johnson & Johnson, Stryker and biotech firm Anteis. The local context is often particularly pronounced and observers could point to the differences between France - often at the top table when it comes to diversity - and Germany, whose performance tends to be decidedly average. And it's not just Germany - the UK is also ranked mid-table behind Finland, France, Latvia, Sweden and the Netherlands when it comes to the share of women on the boards of large listed companies in the EU (whatever their sector), according to European Commission figures. For Claudia, steering the right course between such local differences and global industry concerns is a key part of HBA Europe's role. The Association's local presence in Europe has been steadily increasing, with operations in nine locations so far covering London, Basel, Lausanne/Geneva, Lyon, Paris, Frankfurt, Berlin, Milan and Dublin. “You can see quite a pattern emerging there, as we are in a number of hubs for life science companies, but there's still a number of hubs that are 'open space' for us,” Claudia says. Looking at the HBA Europe's next destination, it sounds like a third Swiss base in Zurich could be on the cards, with Spain, Scandinavia, Belgium and the Netherlands (where, in October, the HBA Europe's Leadership Summit will take place in Leiden) offering further opportunities. In fact, Claudia and Kathrin say they would encourage anyone interested in setting up a new HBA Europe chapter in one of the countries mentioned, or any other, to contact them directly. However, they do caution that they would expect to see approaches to come from a small team that can make a high-level case for how they would start in the location and how they would subsequently maintain their presence there. The centrepiece of the HBA's busy calendar is its Woman of the Year event, which is now in its 27th year and held every May. This year satellite events were also held at inVentiv Health's London office, at Roche in Basel and at Thermo Fisher in Darmstadt, to which the New York ceremony was live-streamed, with the European locations joining the US at several points during the event via a video link-up. This year the award was presented to Roche's head of pharma in Europe Jennifer Cook. She leads a workforce of 5,700 people and is responsible for driving its commercial success across the region's 28 countries. Paying tribute to Cook, Ian Clark from Genentech told the HBA audience she was one of the rare people to truly understand both the science and business aspects of the industry. Accepting her award, Cook - who was chosen for the award thanks to her leadership, presence and savvy - noted at the ceremony that “inclusion is a rising tide that lifts all boats”. Jennifer first joined Genentech (now a Roche company) in 1987 and spent five years working in research and early development there before moving to San Diego biotech start-up Prizm Pharmaceuticals. After re-joining Genentech in 1997, she served in several increasingly senior positions at the firm including as senior vice president of global portfolio management and senior vice president and US business unit head in its immunology and ophthalmology sectors. Professing herself not to be much of a fan of big, overarching programmes, Kathrin says “it really needs to be role modelled from the very top”, adding it's “an evolution that has started”. 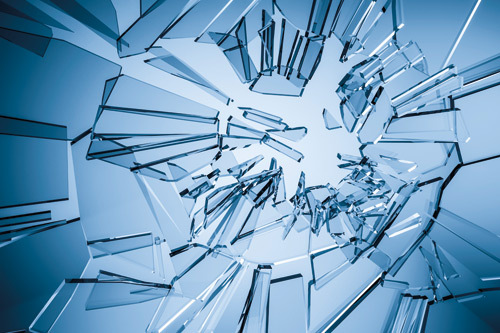 In life sciences in the US and Europe, thanks to the efforts of the HBA, its members and supporters, glass ceilings across the sector are also continuing to crack.